NEW FOR 2018: Since the confectionery industry began in the 17th Century, women have played a major part in shaping it. From Mary Tuke – who created a successful cocoa business against all adversity and paved the way for companies such as Rowntree’s – to Mary Ann Craven’s humbugs and French almonds. The products they made and the businesses they created became world-wide phenomena. Throughout the centuries, many women played their part in making the Confectionery industry what it is today. Often overlooked in the history of chocolate, these people created some iconic innovations that can still be seen across the planet. 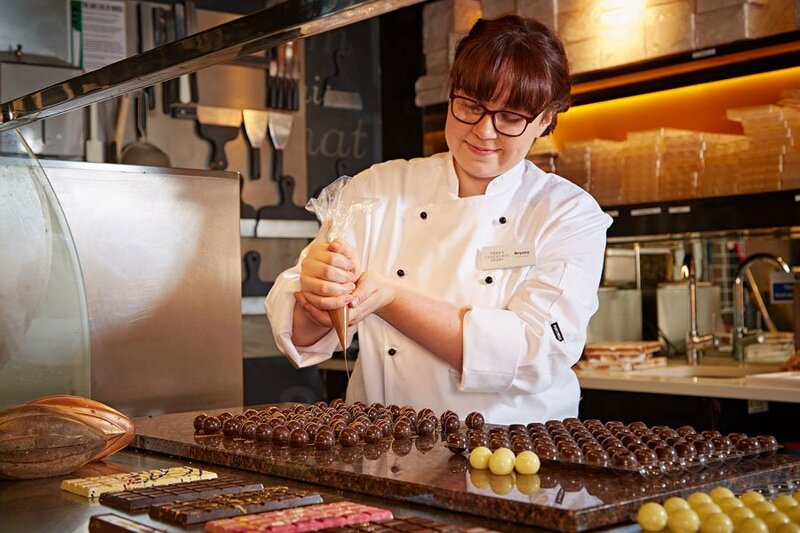 This new exhibition at York’s Chocolate Story will be made up of unique historical artefacts and fascinating testimony from those tenacious women who worked in the industry. Guests will discover how workplace dynamics changed forever when the men were called to fight in both world wars, and how it wasn’t that long ago that marriage could act as a serious career-hindrance. For centuries, women have been the unsung heroes of York’s sweet heritage.